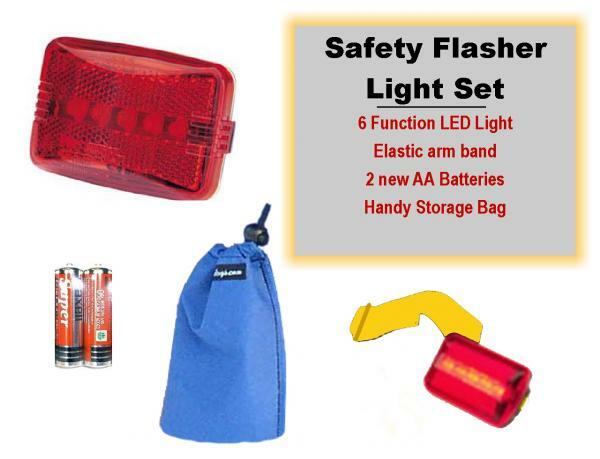 This set consists of the LED 6 function light, 2 AAA Batteries, Arm Band, and storage bag. 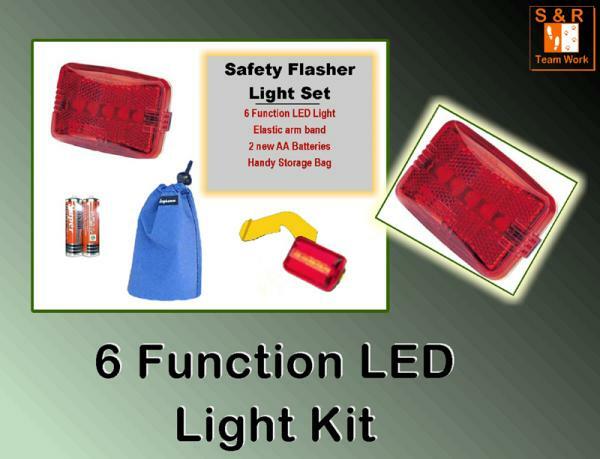 This LED light has 6 functions: Steady, 2 kinds of Flashing, and 3 kinds of Running lights. It is a highly visible LED light that can be seen from up to 2500 feet away. This has a belt clip on back or can attach to the arm band or attach the light to the dogs vest. The storage bag is nice to store your light in your working dog bag when not in use and will keep the lens from getting scratched. This 6 function light is compact measuring 2 x 3 inches in size.